In August 1936, Jesse Owens won as many as four gold medals at the Olympic Games, in a Berlin where the approaching world war was beginning to loom large. 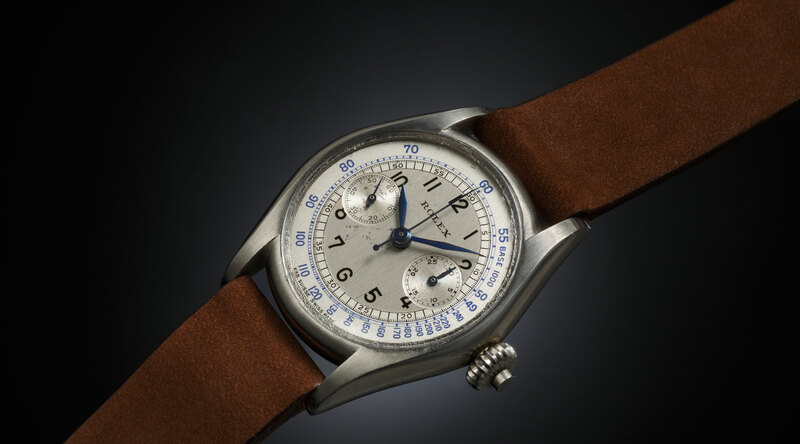 In the same year, Rolex entered officially the wrist chronograph market, as attested also by the early advertisements published in magazines at that time. The launch involved several models, three with a diameter that was standard for that period, i.e. references 2021, 2022 and 2023. The fourth, instead, was markedly smaller, which earned it the definition, thanks to its 34-mm. 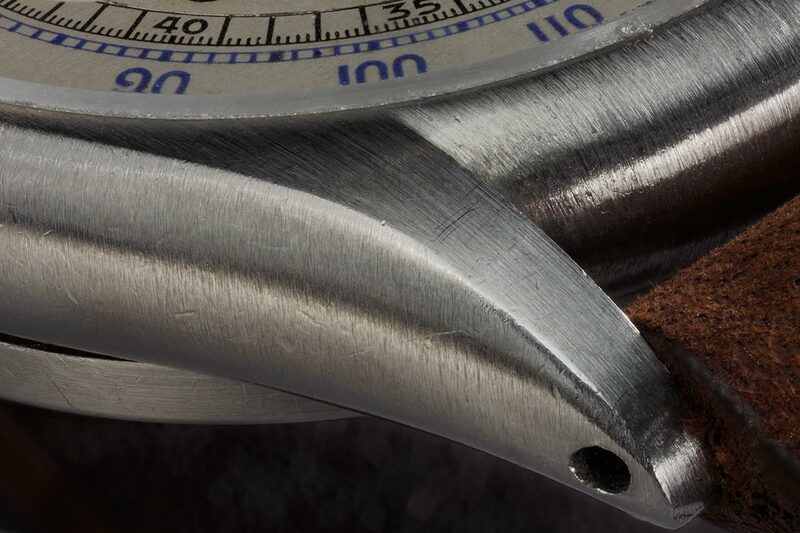 diameter, “the world’s smallest chronograph”. We are talking about reference 2303, as shown in the photo, with a single button chronograph and a two-tone sector dial. 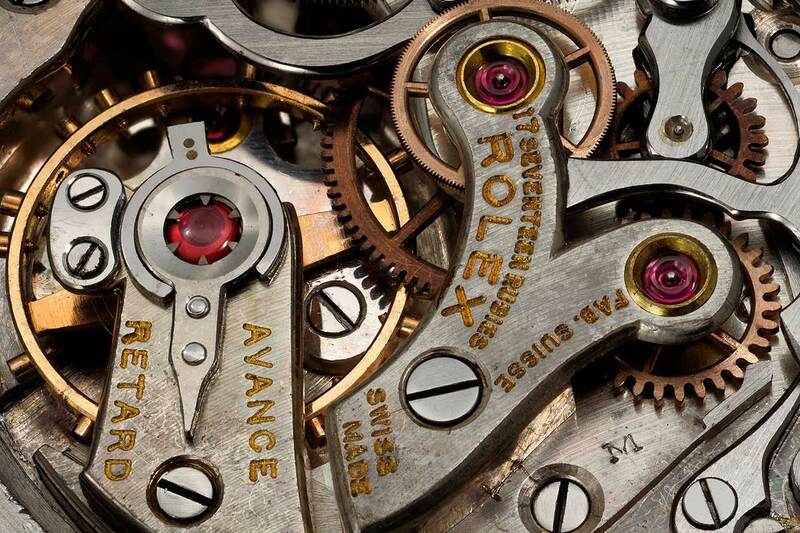 Made in steel, it had a Geneva Sport Calibre 23.7 movement, manual winding, 17 jewels and was anti-magnetic. The original price was 1,000 lire, in its non-noble metal version, and 1,925 lire, in 18 ct gold. To have an idea of its cost in real terms, suffice it to think that a Fiat Topolino, a car built for the masses, cost 8,900 lire, a sum equal to twenty times the average wage of a specialized blue-collar worker. From an aesthetic point of view, attention is called to the modern traits of this model. First of all, the fact that it is not a pocket chrono adapted for the wrist, which was common practice back then, but a project conceived exactly for that use. Also the highly modern design of the case, with a soft tonneau and the long lugs that could be easily found in a contemporary chrono. Last but by no means least, the dial. It is unadorned and perfectly balanced, showing compelling and beautiful characters and a graphic layout, which is definitely not-so-1930s and much more 1950s or 1960s. Once again, Rolex was well ahead of its time.